Vodafone Spain is running an online campaign encouraging healthy uses of mobile devices, including laptops and smartphones. 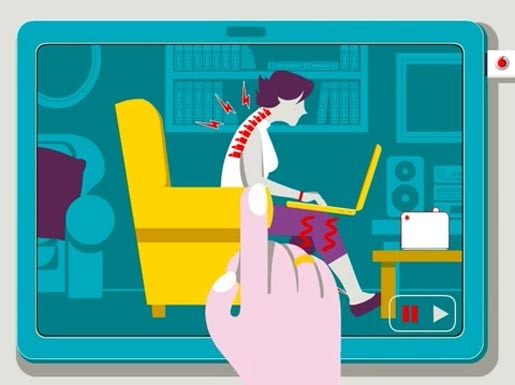 Three animated videos explore healthy habits associated with correct posture, regular breaks, proper adjustment of equipment, and care taken with reflections and glare. The campaign was developed in collaboration with Spain’s Department of Health. The campaign was developed by Vodafone España and Departamento de Prevención y Salud.